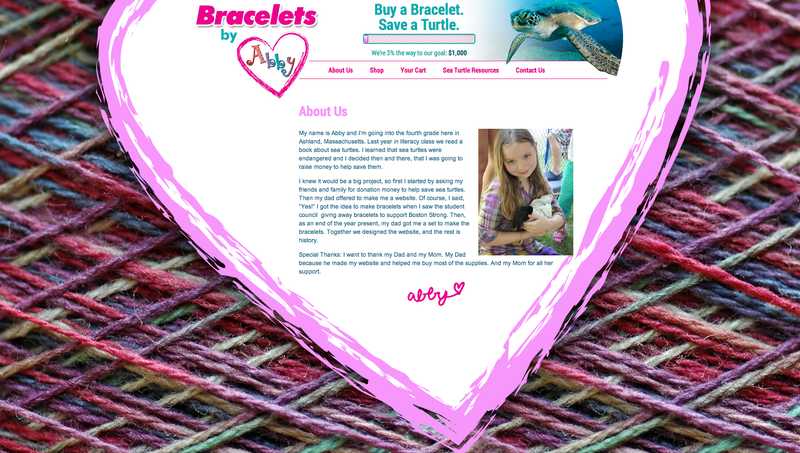 Bracelets by Abby is a non-profit online store that sells bracelets in order to raise money for a specific cause, such as Sea Turtles. With dynamic features such as a progress bar that shows how much money has been raised so-far towards the goal amount, and a easy to change header images that allows you to quickly change the site’s look and message. We also implemented an easy to manage online store and “your cart” features to make it simple to sell your products. Visit this Ashland non-profit bracelet website.